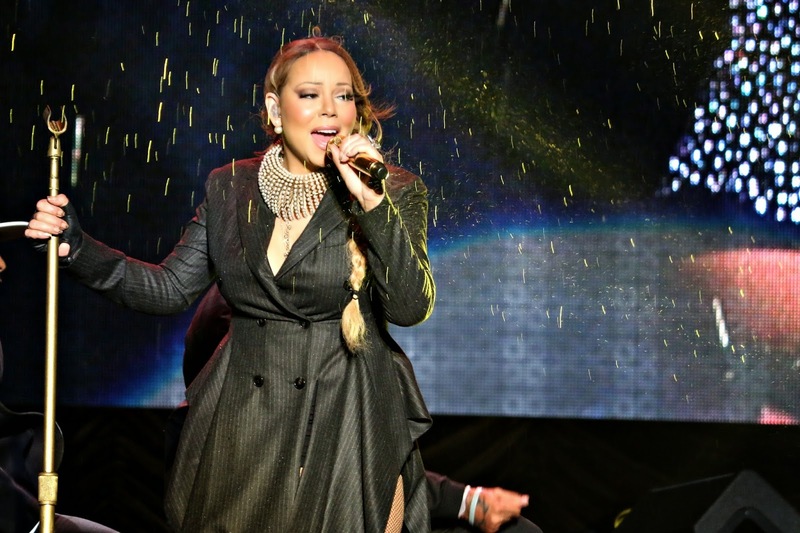 Kuala Lumpur, October 2014 – The American Diva, Mariah Carey has held her tour concert in Malaysia, titled “Mariah Carey ‘The Elusive Chanteuse Show’ Tour In Malaysia 2014” yesterday! 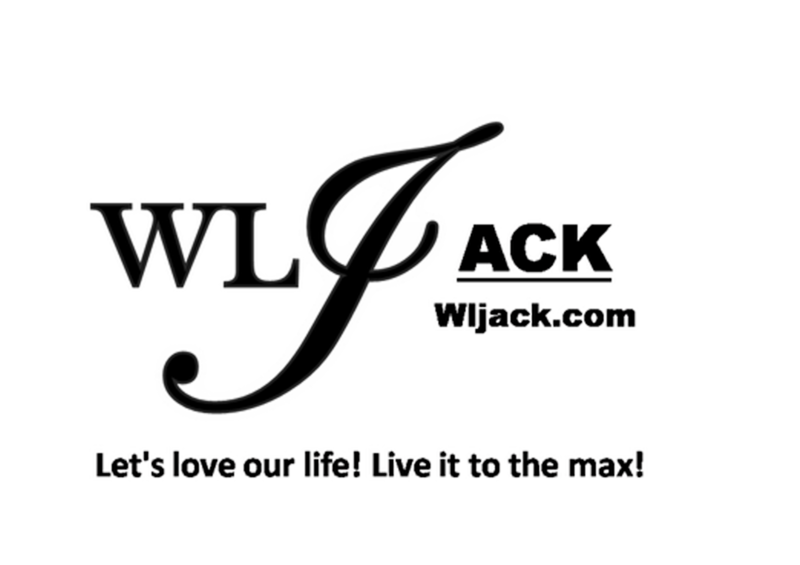 Our team from wljack.com have been given a chance to do a coverage on the event! Crowded With People and Traffic Jam! Concert In A Heavy Rain! Mariah Carey has been a really prestigious pop singer for years and she has garnered a lot of fans from all over the world. 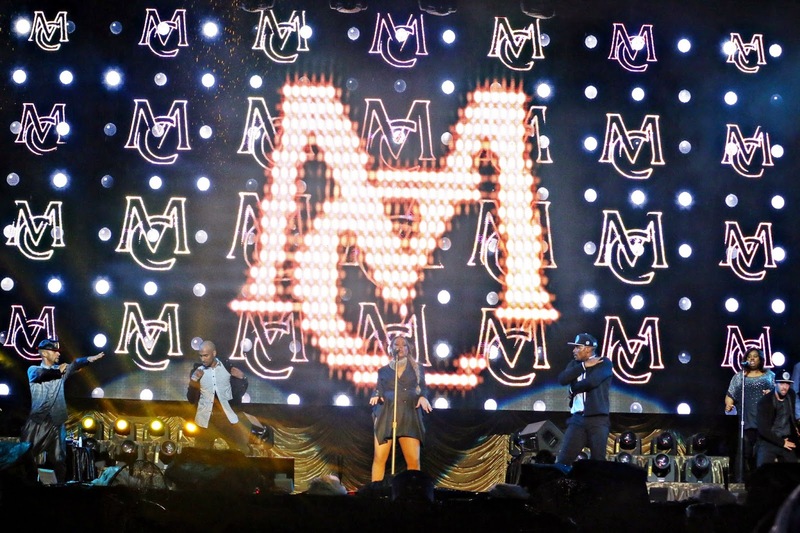 This time, in Malaysia, her concert has attracted the attendance of approximately 12,000 audiences! However, due to the blocked roads and car parking in the middle of the road, it has congested the area and caused a terrible jam to reach the stadium. I myself was stuck in the jam in that area for nearly an hour and a half before I managed to secure a parking at a nearby parking centre. This was not something uncommon anymore for an event in Stadium Merdeka or Stadium Negara. I do hope one day, an improvement can be made over this parking issue. The traffic jam situation was made worse by the heavy rain. Besides, all of the audiences who have their seats on the ground field have gotten all wet throughout the show. It was really unlucky to have a weather that bad at such a timing. The Rain Didn’t Stop The Fans’ Spirit! They Want To See Mariah Carey! Although the rain was really terrible, the audiences still stayed persistently for the show. Most of the audiences have their raincoat on, but the rain was too heavy, thus most audiences still got wet! Due to the rain, the concert started later than the original time (8.00pm), it started at around 9.00pm with a cool James-Bond Like Visual Video! Managed to Hit The “Whistle Note”! Some Minor Vocal Issues Didn’t Spoil The Show! 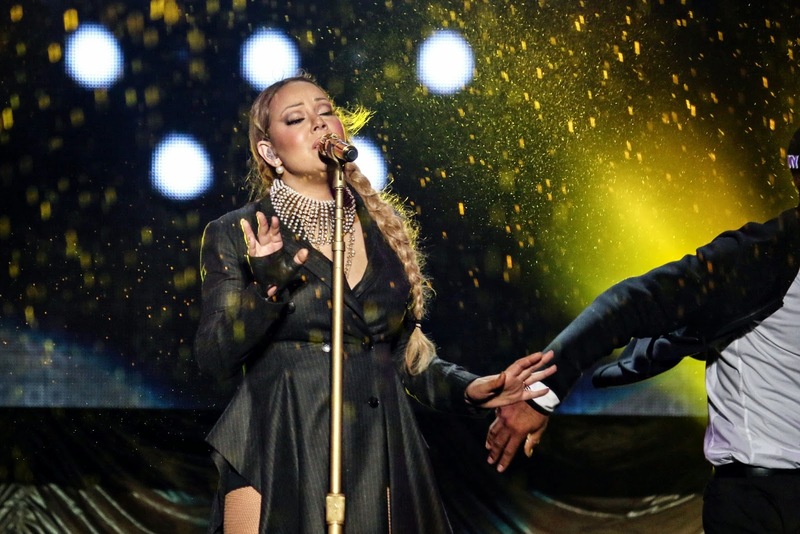 Despite the recent news about Mariah Carey being unable to hit the whistle note, she has proven to us that she could still achieve the dolphin vocal through the show in Malaysia. It might not be as smooth as it used to be but she still managed to demonstrate it LIVE. 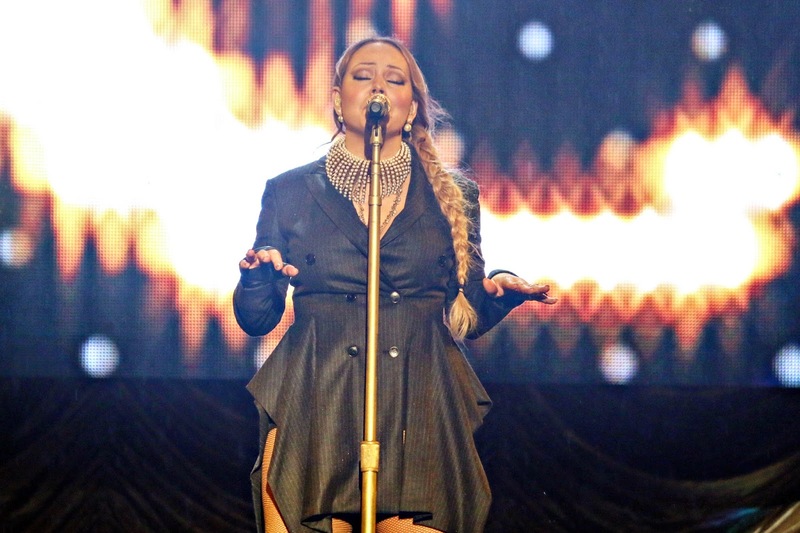 It’s something in which not everybody can do and Mariah Carey is definitely great for that! Besides, one thing I liked about Mariah Carey was, she didn’t give much “talking” speech in between each songs. She basically just sang the speech out in tones, such as “Kuala Lumpur~ Kuala Lumpur” in a melodious way and I love that! However, I did notice some vocal issues too from her during this show. A very obvious one was that some of the songs having a louder backing track which veiled over her LIVE vocal. I barely able to listen to her LIVE singing for some of these songs. These vocal issues might be noticeable but it was not till the extent of totally spoiling the fun. The most prominent mood-spoiler of the day was still the rain! Great Band, Instrumentalist, Singer & Dancer! Mariah Carey has a great group of band members, instrumentalist, supporting singers and dancers who are really spectacular. In between each costume change, the whole group of talented musicians and dancers took over the stage while she’s in the backstage! However, in my opinion, some of these transitional music jamming was a little bit too long. Not that I don’t like them, I love their talents and I seriously enjoyed their performances. But I am sure the audiences would prefer less of the transition time, more of Mariah Carey’s appearance on stage because after-all she’s the main limelight of the show! The concert was very eventful. First, it started with a heavy rain followed by lightning! Not sure whether it was caused by the lightning, there were some technical issues during the show. Sometimes the large screen on the right side lost its image partially. Then, there were some issue in setting up the Grand Piano. Last but not least, there was actually a FIRE on stage when Mariah was interacting with the fans. Either way, she said that, “The band is good, I am good.” Thus, the show still moved on despite having all these unforeseen circumstances. Undying Support To Mariah Carey! Fans Showed Her Signs, Banners and Love! This concert might not be Mariah’s best concert yet due to some issues as mentioned, but it was definitely a dream come true for some of her fans who have been supporting her for more than 20 years! Some Crowd Left Earlier and Missed Out The Encore With “Always Be My Baby”! After singing the song of “We Belong Together”, Mariah left the stage and a lot of the fans started leaving the stadium because they thought the concert has ended. The main reason for the audiences to leave are most probably due to the un-hinted encore as well as the rain! They didn’t provide any hinting beats for an encore like how some other concerts in Malaysia did. If there was no rain, maybe the crowd will still stay behind and shout “we want more” or “encore” without the need for the “drum beat” stimulus. But in this case, I think the band or the crews should at least make an effort to stop the crowd from making a move. Those audiences who stayed behind were lucky enough as they were able to listen to Mariah Carey performing the encore of Always Be My Baby! Mariah Carey is still undeniably a great performer although her performance this time was not as good as I have expected. I think her vocal was a lot better when it was during the 90s. It’s just my opinion anyways. Well, either way, million thanks to IME Production and Malaysia Major Events, an agency under the Tourism and Culture Ministry, they have definitely granted the wishes for her fans in Malaysia! Hope you guys enjoy reading my coverage! Do comment below and share with me your post-concert thoughts and feelings! 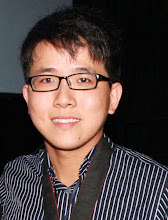 Photo credits to the Official photographer.